Building or buying your first home? You must avoid these mistakes. Buying and building your first home is not a simple process. Many first-time builders try to manage the entire process by themselves and end up spending too much time and money as a result. That’s why it’s crucial to know what mistakes to avoid before you start building your home. 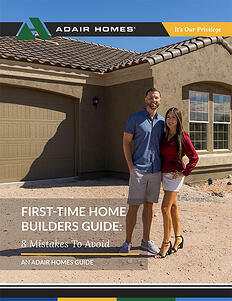 In our First-Time Home Builder’s Guide, we break down eight of the most common mistakes that new home builders make and explain how to avoid them as you begin the custom home building process.